In St John’s Gospel when Jesus visits his disciples on the first Easter day he gives them the power to forgive sins. Sin is the deliberate choice to disobey the will of God. Our relationship with God will suffer if we turn against him or reject his loving will for us. But, if we turn back to God (‘conversion’) he will forgive us our sins. If we have committed a grave sin against God we may find it very difficult to ask for God’s forgiveness or to believe that he does forgive us. This is when we should seek the sacrament of penance. This is the confession of sins before God’s representative – a priest – and the acceptance of any penance imposed by the priest as a sign of wanting to make up in some way for past sins. At the end of confession the priest pronounces God’s forgiveness (‘absolution’) on the penitent. This may give great comfort and is a way by which God can heal us and makes us better people. Sacramental Confession has always been part of the teaching and practice of the Church of England – it may be found in the Prayer Book’s service for the Sick. Anyone who has not made their confession before or who would like to learn more about this sacrament should contact us. 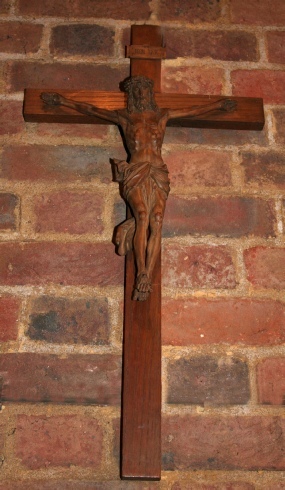 What is said in Confession or in preparation for Confession is very strictly confidential – ‘the seal of the confessional’ – and will not be discussed with anyone else or outside of the time spent by priest and penitent together.